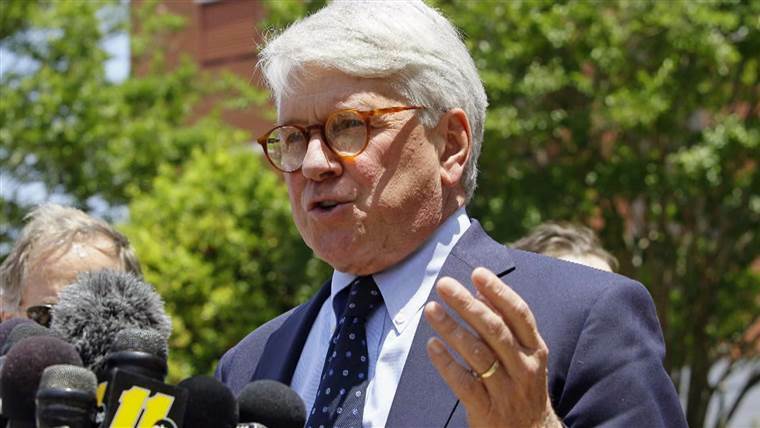 Former White House counsel Greg Craig was indicted by a grand jury Thursday for allegedly making false statements to the Justice Department over work performed for Ukraine in 2012. Craig, 74, who was charged with concealing material information in violation of the Foreign Agents Registration Act Unit and making false statements, failed to disclose work he performed for Ukraine because he believed it would prevent him from future roles within the federal government, according to the indictment, which stemmed from special counsel Robert Mueller’s probe. The attorney, who served as former President Barack Obama’s White House counsel, refused to accept a plea deal. The Wall Street Journal first reported Wednesday that people familiar with the situation said Craig is likely to be charged with making false statements to the Department of Justice. The indictments stems from the investigation into President Donald Trump’s former campaign chairman Paul Manafort and his work in Ukraine. Craig was interviewed multiple times by special counsel Robert Mueller’s team. In addition to working for Obama, Craig served as a senior legal adviser to former President Bill Clinton.